Hi, I am writing in regards to the property at *** Forbes St, East Hartford, CT 06108. Please send me more information or contact me about this listing. 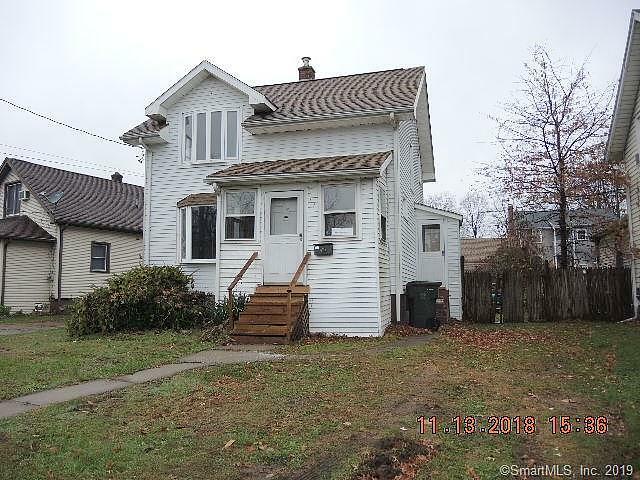 HIGHEST AND BEST OFFERS DUE BY FRIDAY, 4/5/19 AT 9:00AM.nThis property is eligible under the Freddie Mac First Look Initiative through 4/1/2019 for owner occupant offers only. This classic colonial has vinyl siding, some wood flooring, a partially fenced level yard, and lots of potential. Conveniently located near shopping, restaurants, amenities, and highways. Missing copper. Must be cash or rehab loans only. Concrete Foundation Advisory: There have been recent reports of issues with concrete foundations in some residential homes and condominium complexes in Connecticut. The State of Connecticut's Department of Consumer Protection (DCP) has developed information for consumers.This HUD home is a single family home located in East Hartford. It offers in size, 2 beds and 1 baths. Review its detailed information and determine if this East Hartford HUD has the qualities you are looking for.